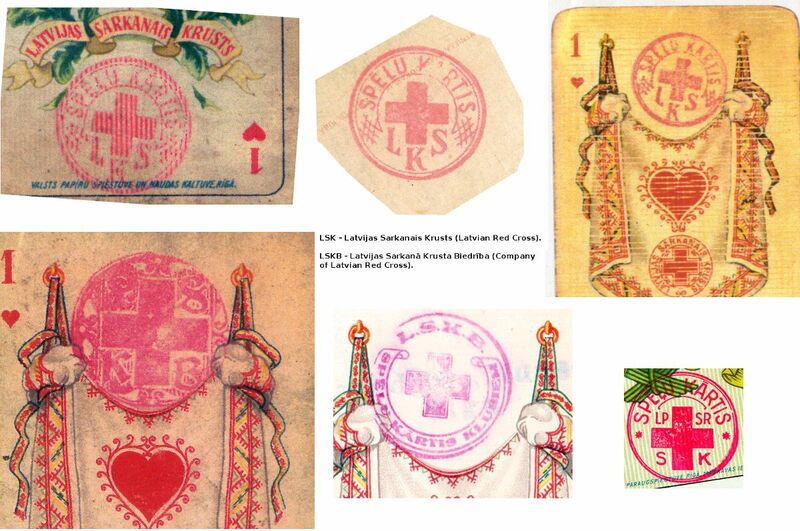 Latvian Red Cross Cards No.11 - Patience Size was issued in the mid 1930s. The pack was created by graphic artist and engraver Karlis Krauze, a lecturer at the Latvian Academy of Arts, together with his students. 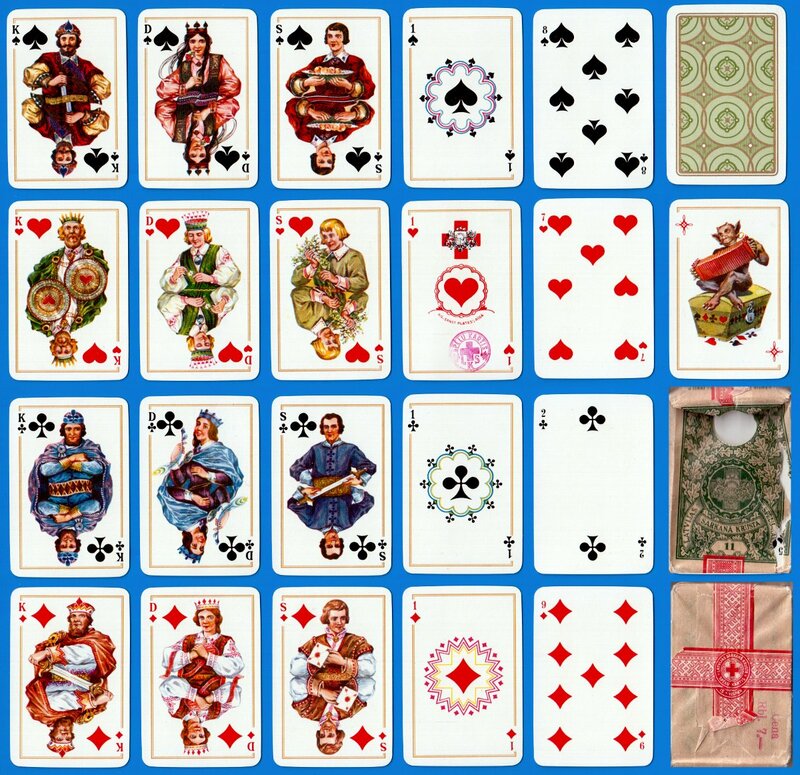 Above: Latvian Patience Cards designed by Karlis Krauze, mid 1930s (click image to zoom). 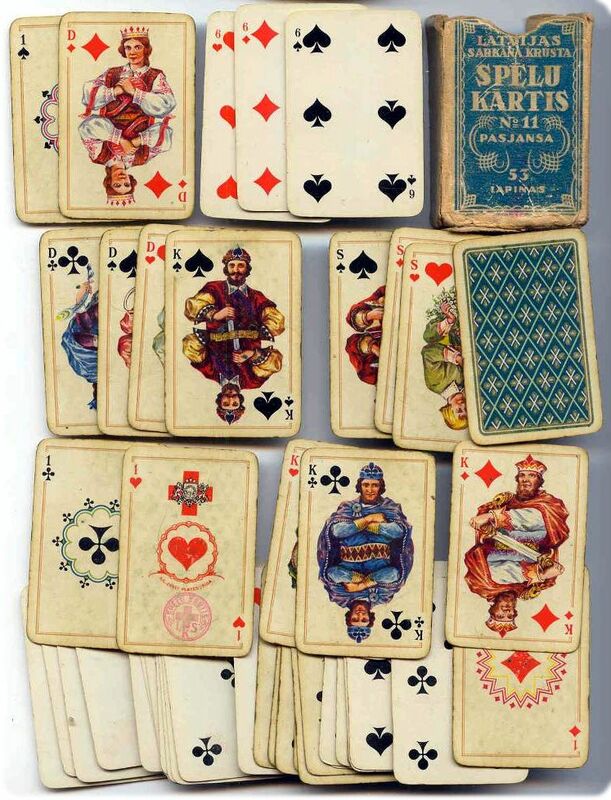 This is the fourth National Latvian pack to be published, following the pack designed by Reinholds Kasparsons in 1932.